CNBC reports that investment honcho Mark Gallogly, the co-founder of Centerbridge Partners who helped raised more than $700,000 for Obama's two presidential campaigns, is preparing to back Beto in 2020. Gallogly was a max donor to O'Rourke's failed Senate campaign against Ted Cruz, though he also donated to rival candidates Cory Booker and Kirsten Gillibrand. Gallogly is joined by Louis Susman, an investment manager and former banking executive who raised enough money for Obama in 2008 (at least $500,000) to be named his ambassador to the United Kingdom. Before O'Rourke even announced his candidacy, Susman, who is married to Goldman Sachs scion Marjorie Sachs, was reportedly reaching out to other wealthy Democratic donors to gauge their interest in the candidate. Susman was also a max donor to O'Rourke's failed Senate bid. 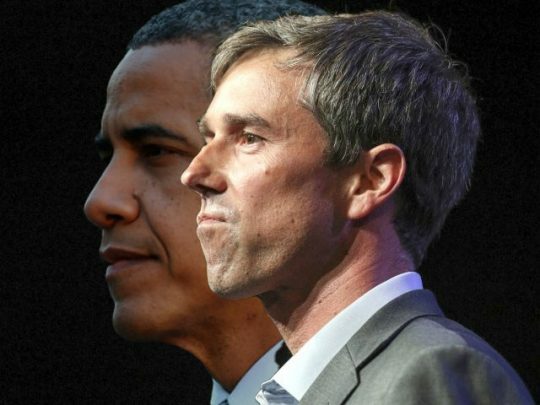 O'Rourke, who raised nearly $80 million for his campaign against Cruz in 2018, is already off to a strong financial start, raising $6.1 million in the first 24 hours after announcing his candidacy, narrowly besting fundraising juggernaut Bernie Sanders' total of $6 million. With a Joe Biden candidacy looking increasingly likely, the race is on to secure backing from Obama's most prolific fundraisers. Obama himself will be faced with a difficult choice—whether or not to endorse the man who served as his vice president for eight years, a move that would likely persuade a number of those wealthy donors to line up behind Uncle Joe.